Marketers are realizing that the real pain point is not getting traffic into your site but on making conversions. Hence, shifting your focal point onto conversion rate optimization can help you turn your site’s traffic into conversions and revenue. According to Marketing Experiments, using the right targeting and testing methods can increase your conversion rates by up to 300%. Unfortunately, 68% of small businesses don’t have a documented CRO strategy in place according to CXL. This means they don’t have access to valuable insights that can be used in making data-driven strategies. At the same time, you can use this opportunity to leverage your business against competitors. While we’re focusing on Hotjar in this article, you can also check other options like these conversion rate optimization alternatives. Hotjar is one of the go-to conversion rate optimization software tools when it comes to conversion rate optimization. Heatmaps, its main feature, shows your site visitor’s online behavior which you can use to identify any site issues, like poor user experience, and determine which strategies are performing with impact to your digital marketing initiatives. With that, let’s get to know Hotjar in an overview first. Hotjar is a CRO tool that specializes in giving users the combination of essential analytics and feedback features in one platform. This eliminates the need for deploying multiple software systems for your CRO toolkit. Having analysis and feedback side by side gives you a comprehensive solution to understand your mobile and website visitors better based on their online behavior and actual feedback. 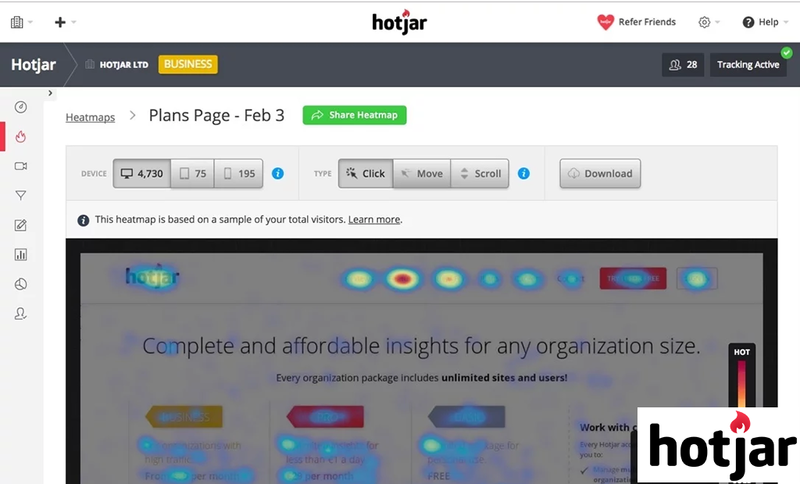 Majority of users install Hotjar mainly for its Heatmaps feature. It works by grabbing HTML from your page and determining which parts of your page visitors interact with. Moreover, Hotjar takes an extra step to leverage your CRO strategies. Aside from showing you your visitor’s site activity and movement, it also helps you easily collect feedback through easy-to-build polls and surveys. Visitors can respond directly on your site or on embedded links. Since more people are hesitant to provide information nowadays, Hotjar offers a less invasive solution to understand your site visitors. Knowing what your visitors are clicking, what their scrolling patterns are, which pages they leave behind, and how much time they spend on a page, among others, can help you optimize your site’s conversion and usability rates. It caters to the needs of any type of user. Individuals can subscribe to a forever free plan while businesses can subscribe to plans that are tiered according to the number of page views they get per day where data is collected from. Meanwhile, agencies and consultants can use a plan that’s catered and priced according to their needs in monitoring their clients’ sites. Hotjar calls itself as an “all-in-one analytics and feedback” tool. While there is no “all-in-one solution” for all types of businesses, the software does a great job in trying to provide all the necessary features you need for collecting feedback and analyzing the online behavior of your visitors in a single tool. Using Hotjar means you don’t have to deploy multiple systems for your conversion rate optimization efforts. At the same time, having more features may not be valuable if you’re not using them. Below, we’ll tackle the pros and cons of Hotjar to help you decide if it suits what you’re looking for in a CRO software. Hotjar is known for its heatmapping tool. It shows you what a visitor clicks and taps as it tracks both web and mobile sites. The visual representation lets you understand what users want and use this data to add, remove and reposition elements on your pages. Making it easier for your visitor to find what they’re looking for by placing them in areas that receive the most attention leads to more clicks and, if they are call-to-actions, to more conversions. It also offers more information than other heatmapping tools. In addition to showing the taps and clicks, it shows you the visitor’s mouse movements. Hence, you’ll see which areas they moved their mouse even though they didn’t click. Eventually, it can help you improve the user experience to encourage them in engaging. Furthermore, you can see the number of times a user clicked on the same place simply by hovering your mouse in that area. It doesn’t require you to open a separate report to see this details. On the other hand, it lacks the ability to sort clicks into categories based on new and returning visitors, location, referrers, or time period, among others. Hotjar shows you the mouse movement of your site visitor. Hotjar is equipped with various features to help you analyze your visitor’s online behavior. In addition to heatmaps, it’s one of the first tools to offer visitor recordings which is one of its standout features. It records the screen of user sessions to see their clicks, mouse movements, and the site issues they encounter, if any, from their perspective. Scrollmaps work differently in different tools. In Hotjar, it shows you how far a visitor has scrolled down your site. Aside from seeing areas with high activities, Hotjar also shows you where visitors are dropping off in conversion funnels. This is a good feature to have even though it’s not very extensive for events and goals analysis. It also has a form analysis tool that can help you uncover which fields are left blank or take too long for visitors to fill in. By identifying problematic fields, you can find solutions to improve completion rates. It gives you an overview of your form performance but it doesn’t go very deep as it only tracks a few numbers of metrics and it doesn’t enable you to split data into data ranges. If you need more help in boosting your form’s conversion rates, you may read this article to know the 7 best practices to optimize your conversion forms and get more leads. In addition to all of Hotjar’s features, however, it works powerfully together in performing analysis of your site’s visitors. Hotjar lets you view at which page or stage a visitor drop-offs. Hotjar’s key selling point is packing analysis and feedback together in one platform. In order to understand your visitors, it enables you to directly ask for their feedback instead of doing guesswork. Polls let you gather information on why visitors are on your site, why they are leaving, and why or why not they are converting. You can ask unlimited questions triggered according to their behavior or the specific page they are in. For instance, a poll widget may pop up when there’s a short delay in the page. Instant feedback can also be prepared to ask visitors which elements of your site they like and which of them they want for you to improve. Meanwhile, surveys, which are hosted on Hotjar’s website, can be embedded through links such as an email newsletter and enable you to invite people into responding from your site. It supports 5 question types: long and short text answers, NPS (Net Promoter Score), checkboxes and radio forms. It is also highly customizable on behavior triggers, completion message, and multi-language support, among others. Additionally, testing is crucial in CRO. Hence, Hotjar supports user research and testing by recruiting your own site visitors. How can you encourage visitors to participate? The tool makes it easy to offer a gift or incentive to show gratitude for their participation and in exchange for their information (such as name, age, city, phone number and email address). Other information like operating system, device, browser, and country are already automatically collected by Hotjar. Hotjar’s installation process is pretty painless. The unique Hotjar Tracking Code can easily be added in two areas: your site dashboard and in sites and organizations. Since there is some coding involved, you may not be confident to do it on your own if you have zero development-related knowledge. However, the process simply involves copy-pasting the code when manually installing it in your site. The vendor also provides specific step-by-step guides on how to install the tracking code depending on what platform you’re using. Some examples of the platforms it supports are HubSpot, Shopify, Wix, Weebly, Squarespace, WooCommerce and Google Tag Manager, among others. A unique code will be given for each of your sites if you manage multiple sites. The confirmation of a properly-installed Hotjar script only takes a few minutes so you can immediately start using the tool’s features. With Hotjar’s clean and simple interface, navigating around the tool and learning how to use it can be accomplished with ease. Hotjar’s instant visual feedback lets your visitors quickly leave a feedback on your page’s elements.  Hotjar offers various plans to suit any user’s needs. It even has a free plan for individuals and sites with low traffic volumes. Unlike other tools that capture data according to data points, Hotjar uses “sampling” or distributing data collection throughout the day automatically. If you exceed the page limits of your plan, you can either upgrade or delete items. This is because Hotjar uses a data-on-demand approach where “Snapshots” or on-demand reports are generated from your targeted pages when you request them. For the Basic or free plan, data is collected from 2,000 pageviews per day. This means once the 2,000 recordings are reached, your snapshot is complete. If this is not enough for your needs, you can upgrade to the premium Plus plan which costs $29/month for 10,000 pageviews per day. Plans for businesses are also available (starting from $89/month) that are tiered to the number of page views per day. Meanwhile, agents and consultants get a discount volume pricing where you can invite clients to your own account or manage client accounts in a separate Organization. To know more about Hotjar’s pricing information, you may read this in-depth Hotjar pricing guide. It’s prepared by our team of experts who carefully looked at the different plans offered by Hotjar. In this article, we covered the pros and cons of Hotjar. While other products in its category are beginning to offer similar features, Hotjar, as one of the first to release them, continue to maintain its strong place in providing one of the most robust heatmapping and visitor recording tools in the industry. It also standouts in its combination of analysis and user feedback functionality in a single CRO software which reduces the costs and complexity of handling multiple systems. For users who only subscribe to Hotjar for its heatmapping tool, they may find the plans a bit pricey because of the other features included that they don’t need. However, Hotjar’s feature set work powerfully together as its combination of analysis and feedback is where the tool really shines. With a forever free plan and affordable starting premium plan, you have plenty of options to choose from that will match your budget. Since there’s no commitment, you are free to downgrade, upgrade or cancel your subscription at any time. You are not locked up in an annual plan if you choose to subscribe to the service monthly. Overall, Hotjar reliably delivers its features well and offers good value to its users.